Precision Machining, Gearboxes & More! Exact Machine Company is a precision metalworking / machining service specializing in high precision boring and milling (+/- .001") of large components and gearboxes for the machine tool and heavy vehicle equipment industries. Our customers, from local to international, choose to outsource their precision machining to us because of our quality of workmanship, tight tolerances and quick turn-around capabilities. The industries serviced include gearbox manufacturing, machine tool, hydraulic valve, construction & mining equipment, food machinery and oil field equipment. 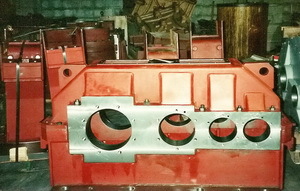 Most of our customers supply their castings and weldments, but some prefer to have us furnish the material. We offer quality work at reasonable prices. Exact Machine Company is centrally located in Rockford, Illinois, approximately 60 miles west of Chicago. 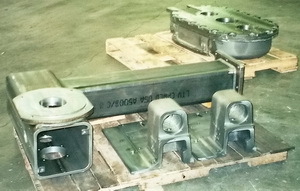 Custom and production machining at its best! Copyright 2003 Exact Machine Company, Inc.